What is Sew Healthy and where did it begin? 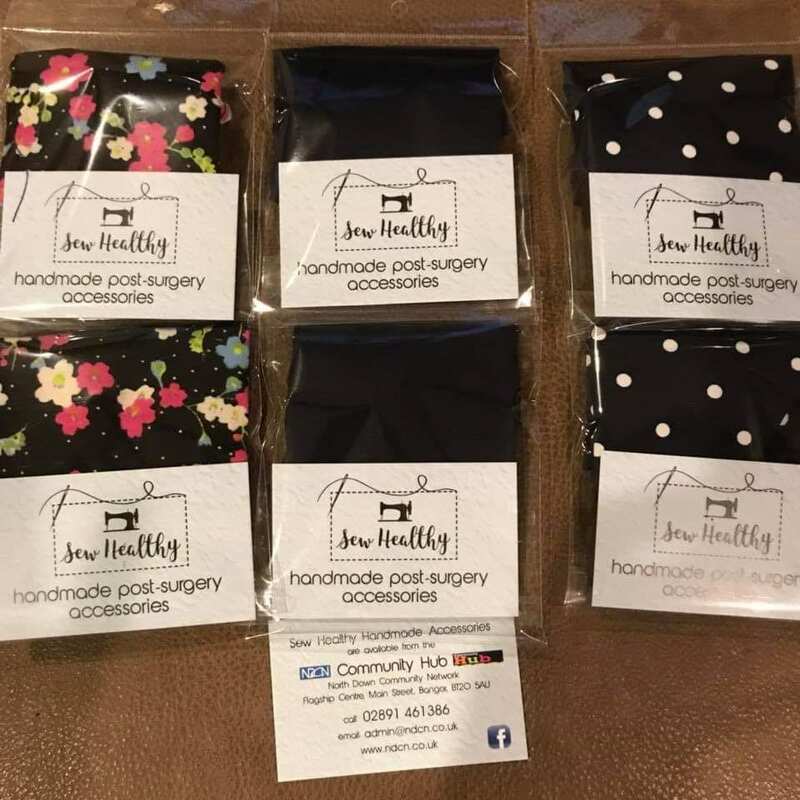 “Sew Healthy bgean when I had a dear friend who went through treatment for Cancer and she really struggled to get the colourful and affordable accessories that could help her get through her treatment, so I decided to create some items to help. 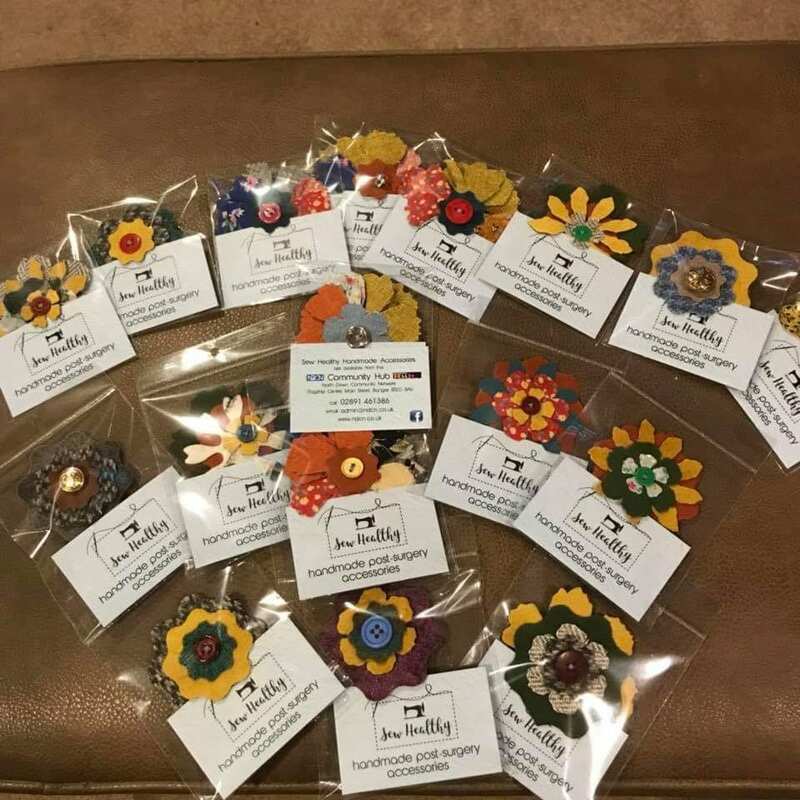 It just grew from there and now we have a dedicated team of people who volunteer their time to hand make each of the accessories. Colours and fabrics vary so each item is unique and made with love and care.” Jacqui Coey, Team Leader. Sew Healthy is a fantastic social enterprise initiative, coordinated by our wonderful Jacqui Coey, along with the super talented group of volunteers, who meet every Tuesday. 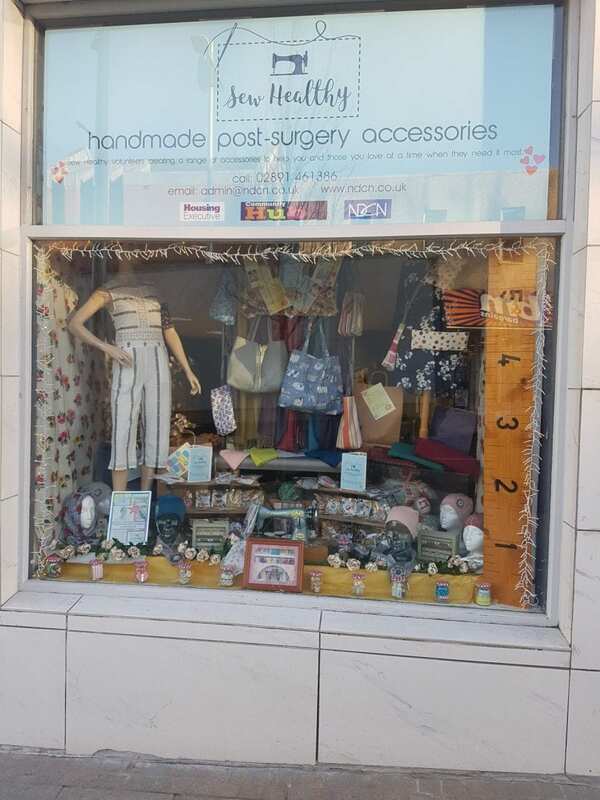 The group make a range of handmade post-surgery accessories, particularly aimed at people who are going through Cancer treatment. 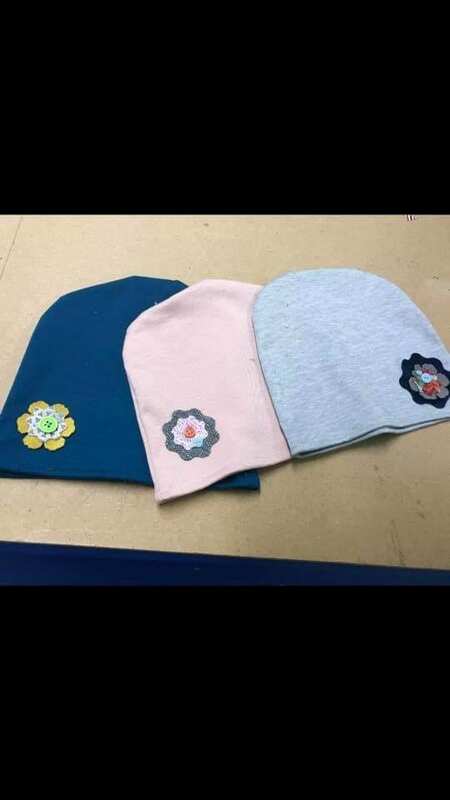 Items include – Picc line covers, comfy hats, scarves, seatbelt covers, drainage bags and beautiful broaches. Donations from £5 per item are greatly welcomed, all items are available from our Community Hub.